Much as Umbro would probably like this story to go away, sadly for them it doesn’t look like doing so. John Terry in adidas adiPURE II football boots, Chelsea Vs Inter Milan. John Terry, England and Chelsea captain and regarded as ‘Mr Umbro’ in the UK, has now been spotted in adidas boots not once but twice whilst on Chelsea’s pre-season tour in the USA. The timeline goes like this. Terry plays against Seattle Sounders in his trademark Umbro Speciali football boots, but by the time he returns to the training ground the following day, he’s swapped them for a pair of Black / White adidas adiPure II‘s. Umbro was fully aware that John was training in these boots due to a delay in transit of his new Umbro Speciali boots. We had full dialogue directly with John about the matter and his new Specialis are now with him and he looks forward to playing in them. Strange then that in last night’s encounter with Inter Milan, which Chelsea won 2 – 0, Terry played in a pair adiPure II’s, though it was clear that measures had been taken to mask the more obvious adidas features. We are unsure why John Terry is wearing the adiPure II football boot, however they are a fantastic classic leather boot. We can only assume therefore, that either his new Speciali’s were delayed again despite Umbro’s statement to the contrary or that the player himself is making the decision not to wear them. Either way, it doesn’t reflect well on Umbro particularly as previous reports had linked them with Manchester City’s bid for the Chelsea player, the kit manufacturer having recently enterred in to a 10 year deal with the Eastlands club. Even now there is talk that City are preparing a fourth bid for Terry in the region of £40 million. Old team mates, Freddie Ljungberg and Ashley Cole in Puma V1.08 football boots. Meanwhile, Terry’s Chelsea and England team mate Ashley Cole also seems to have switched boots. 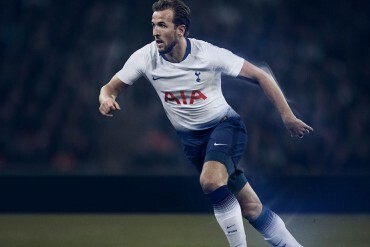 An adidas man, who last used the new F50i playing for England last month, has trained and played in the new Royal / White / Black colourway of the PUMA v1.08. Cole will have had plenty of intimate knowledge of the v1.08 as Chelsea’s Nicolas Anelka wore them as he topped the Premier League scoring charts last season. However, PUMA have confirmed Ashley Cole hasn’t signed a deal with them and isn’t under contract.
' Ashley Cole’s contract came to a natural end at the close of last season, the player and adidas have decided not to renew the contract. Ouch! That really would hurt Umbro, surely they won’t let him go…?? That ends the theory of Umbro dragging Terry to Man City then. False alarm then, Terry forgot his boots! Surley umbro gives him more than 1 pair.. I bet he borrowed the adipure from Lampard..
False alarm is right. But, who knows, he may have liked the adipures. Still, the man city rumor, is still circulating. He might not though after this dibacle. hahahahahaha if terry forgot his boot why dont buy a pair of umbro boots? It’s hard to imagine that Terry didn’t have an extra pair of Umbro’s that he brought to the States. Interesting. Yay im now wearing the same boots as john terry again! Now thats what I call ‘boot spotting’. Terry wore adiPure’s again tonight against Inter. How long does it take Umbro to provide him with some boots?? What’s Lampard wearing? They don’t look like normal adipures?! Well spotted Scottymac, those don’t like adipures. Umbro’s excuse to this subject is bit lame, yeah like JT would’ve travel to the US without his football boots. ScottyMac, they are adiPures, there’s just a bit of paper on his right toe, look at the turf, there’s loads of that paper on there. Ummm Terry wouldn’t have played in a brand new pair of boots he hadn’t yet worn/trained in. Common sense people. Sam: If that is the case, don’t you think he would bring his old Umbro pair to play in? It makes no sense why he would wear the adiPures when I’m sure he can get a pair of Umbro boots any time he wants. Any way you look at it this is bad for Umbro business. Terry is arguably the poster boy for that brand and if he’s wearing adidas, then there is a problem. Especially considering Umbro was bought out by Nike. That’s a kick in the crotch, I would think. Keil, you bring up an interesting point. Perhaps he did this to stick it to Umbro because they are maybe trying to get the Man City deal going and Terry doesn’t want to go away from Chelsea (adidas)… Hmmm… It isn’t too far fetched to think a brand is trying to get a deal in place for players. it makes perfect sense if you ask me. Lets face facts that noone ever really knows the truth apart from the player themselves, but I feel that this is simply been a statement from john terry, and maybe like you say, umbro and man city are trying to strike up some sort of deal to capture JT. I think without a doubt Umbro has some kind of a hand in the talks of dealing JT to Man City. Obviously, more money is another reason but I think Umbro is cooking this thing up. At this point it’s just a “wait and see” kind of a thing. I live in Seattle and he actually broke his cleats or something before the game Vs. the Sounders and had somebody from a Soccerwest store in Federal way bring some to them. THey do not carry Umbro though and he specifialy asked for Adidas Adipure II i have heard.